And the games that OnLive added to the PlayPack catalogue are Advent Rising and Night at the Museum: Battle of the Smithsonian The Video Game. This brings the PlayPack to 72 titles and counting. Advent Rising is single player only and supports only mouse and keyboard. 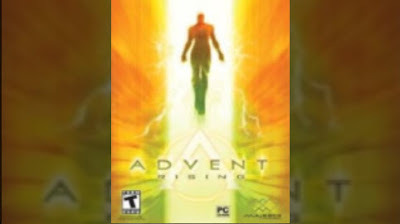 You can play the free demo of Advent Rising powered by OnLive. 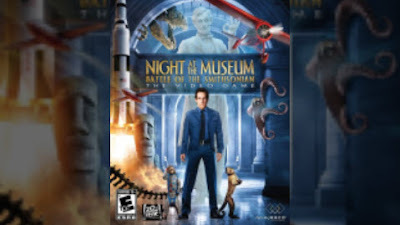 In Night at the Museum: Battle of the Smithsonian The Video Game museum guard-turned entrepreneur Larry Daley discovers that his favorite exhibits, and some of his best friends, from New York's Natural History Museum are being shipped off to the archives at the Smithsonian. Larry gets a distress call from the miniature cowboy, Jedediah, reporting that Egyptian ruler Kahmunrah and a trio of heinous henchmen--namely Ivan the Terrible, Napoleon and Al Capone--are plotting to take over the museum, then the world. Speeding to the nation's capitol, Larry is clearly in over his head. But with some impressive new pals, including the irrepressible Amelia Earhart, along with familiar friends Teddy Roosevelt and Octavius, Larry will stop at nothing to restore the Smithsonian before dawn. I can only say that a game that has Ben Stiller has to be at least a little fun, though i wouldn't mind if his father Jerry Stiller was also in, the man is simply hilarious. This action-adventure game is single player only and supports only mouse and keyboard. You can play the free demo of Night at the Museum: Battle of the Smithsonian The Video Game powered by OnLive. ibaikal conception of creating missed connections visually. Weedends is great day! I really love it! Because in this day, not only can I get up late, but also I can be relaxed! !~None day can be better than weedends! There is a important reason that we can't go to school or go to cheap android phones job! So happy day!